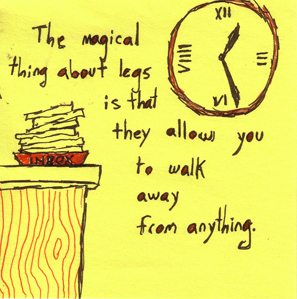 "The magical thing about legs is they allow you to walk away from anything." Purchase this clever sticky note art on hip shirts, inappropriate coffee mugs, juvenile pins and much, much more! .